Ensure a completely secure, easier, more efficient and seamless shopping experience with the hosted checkout that works right out of the box. Ensure PCI compliance and secure processing of payment information, which is transmitted directly to PayCore.io without it passing through your servers. 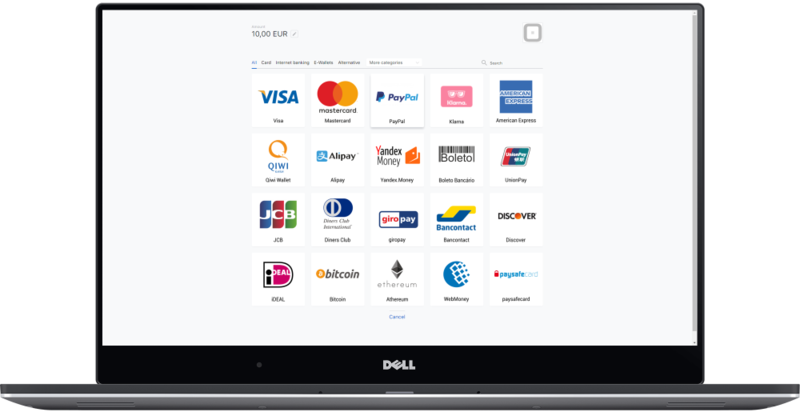 Seamlessly integrated into your current design and smoothly functional, our hosted checkout brings a user-friendly user experience to your customers. All checkouts are different. 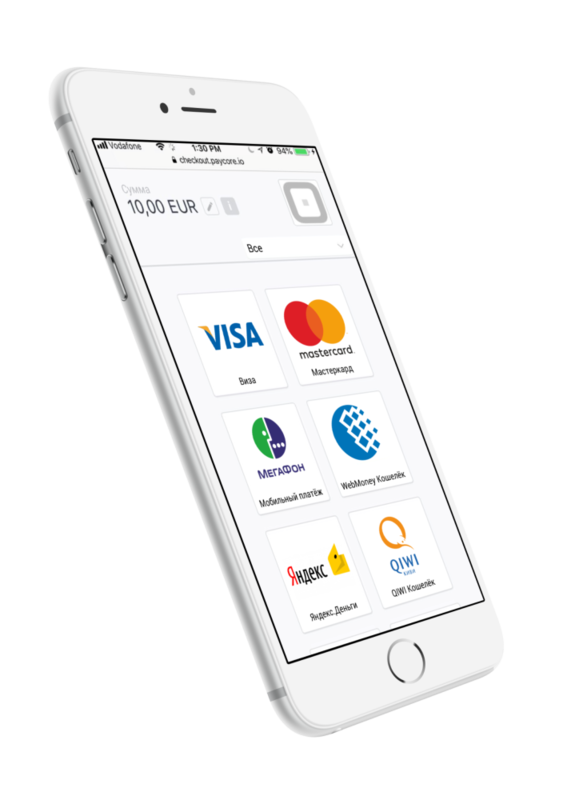 We provide a pre-made and out of the box customizable checkout that works for lots of different use cases and business models. 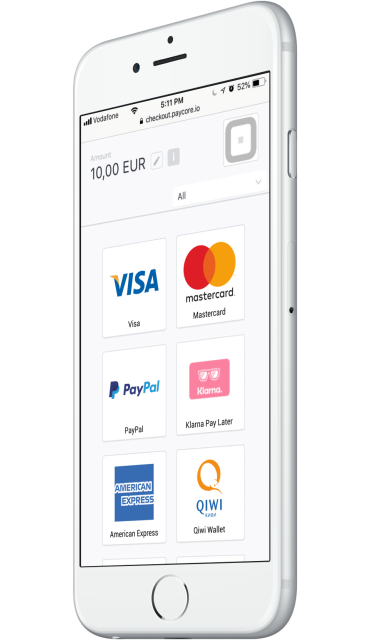 We enable you to build and manage your own unique payment page, that let you sell globally but act locally. make purchases via their mobile devices. 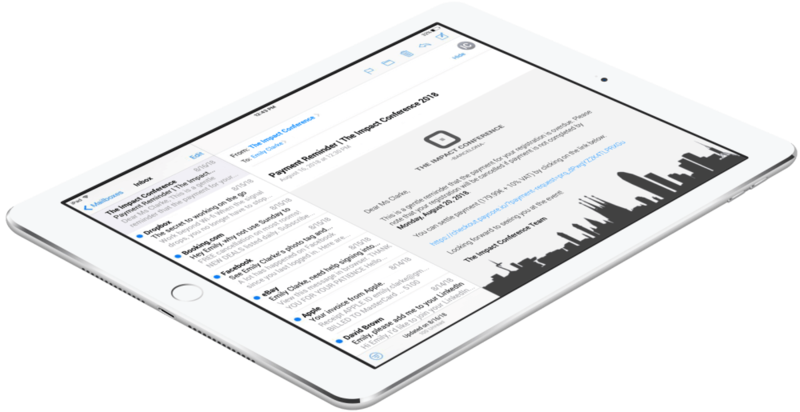 With responsive design, your checkout looks perfect on desktop computers, tablets, and smartphones. Input fields are large enough for thumbs to select comfortably either the left or right side of the screen. Our pages are adopted for touch gestures to make interaction feel easy on mobile devices. The pages are systematically tested on all of the latest devices, operating systems and browser versions. PayCore Hosted Payment Pages are completely secure and encrypted with SSL technology for ultimate protection of private and financial information. The cloud-based version is hosted in PCI DSS certified infrastructure to assure compliance with specific data security standards. Optionally, a database of your customers could be hosted on your servers. You can host all on your servers if you buyout PayCore with source code. Our secure payment pages make paying online simple and safe. 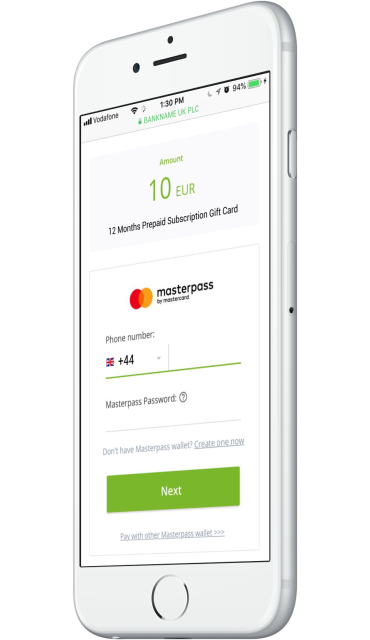 We enable you to build and manage your own unique payment page, that is allowing to seamlessly integrate our hosted checkout onto your website. 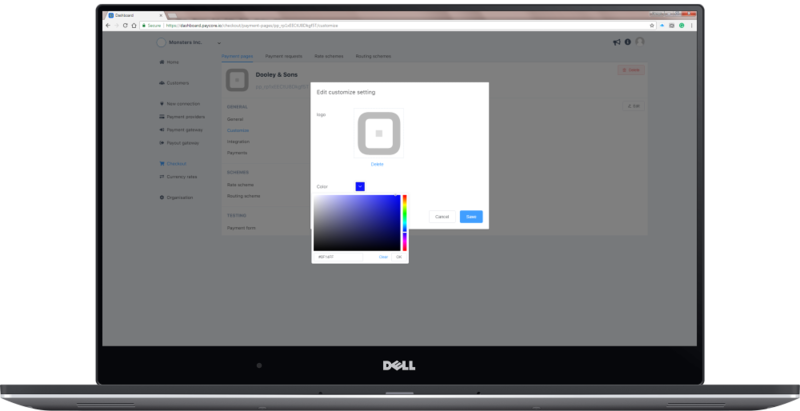 PayCore keeps your design consistent on the checkout page and offers hosted payment pages that can be configured with your company logo and a custom background colour. You can remove or change the header or footer and even make custom UI and tailor checkout flow any way you like through our easy-to-use APIs. Our hosted payment pages are a result of best practice and decade-long expertise of UX design. You can improve customer experience by implementing PayCore payment page, which dynamically modifies the selection of payment options available based on location, transaction history, risk and other factors. 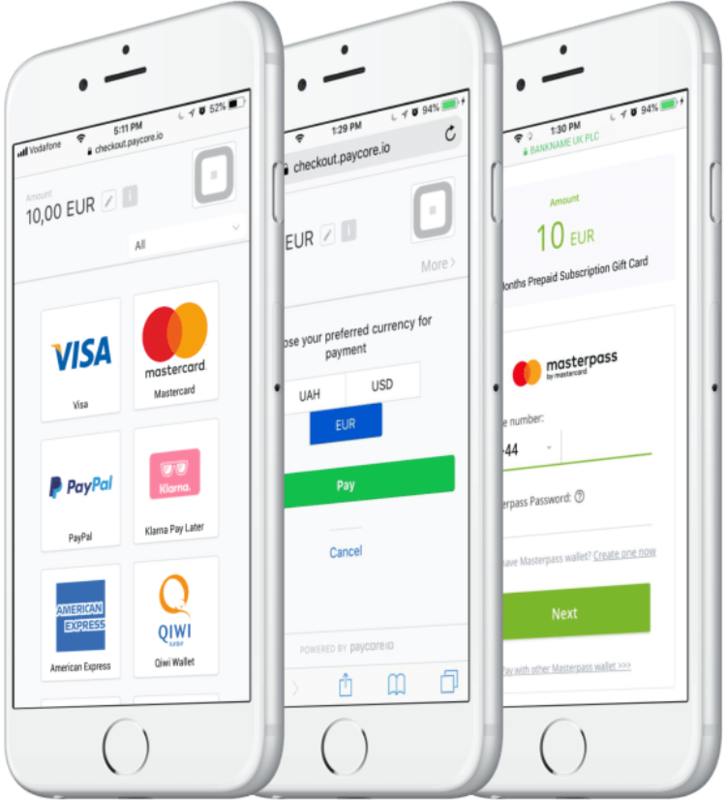 All the payment options are grouped by payment type withal. 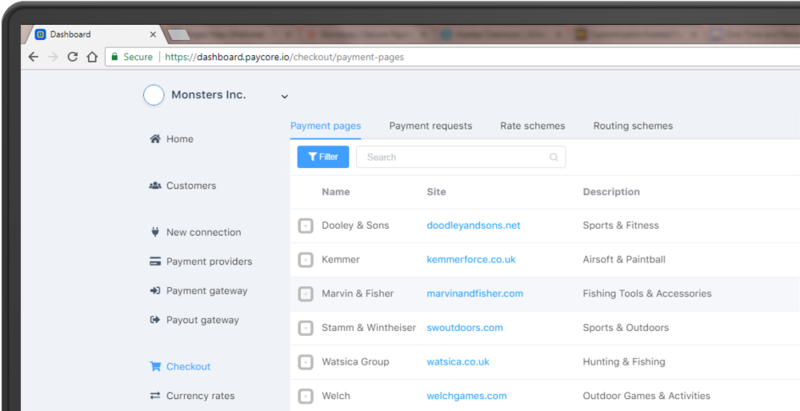 Our hosted payment pages utilise a single-page application technology to create one or multi-step payment flow. 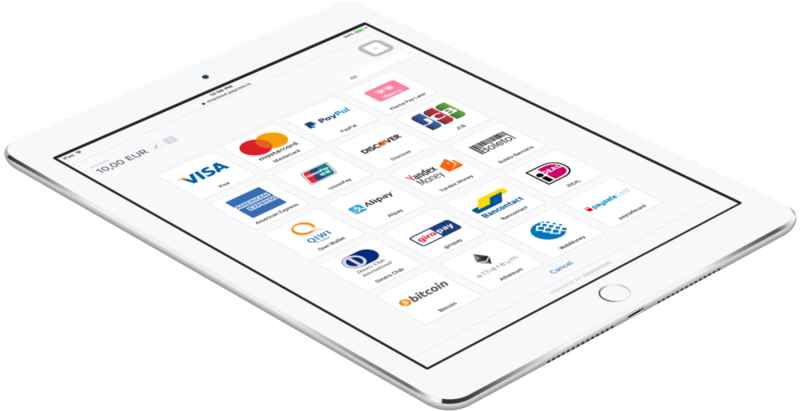 The customer is redirected to our secure servers, where they are presented with a choice between all payment methods enabled by your settings or promptly directed to particular payment method for payment details. You can add customer and shipping details screens at your discretion, as well as either use our confirmation page or bypass to your own success page. The multi-language support provides your customers truly local shopping experience, makes it more intuitive and easy, wherever they are from. The languages are displayed based on internet browser settings. As well there is the language drop-down menu at the bottom of the page to help visitors navigate in their language. PayCore hosted payment pages are simple and clean, and even offer to survey customers as to why they left the payment page. 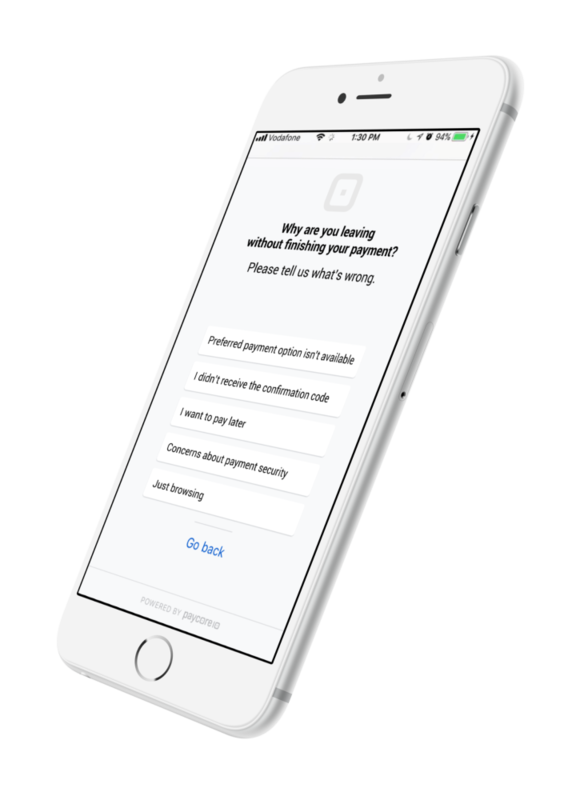 If they decide to cancel payment process, the survey on the payment choose screen lists questions that prompt to find out what problems they say are keeping you broke. You can have multiple payment pages with a different scenario, design and layout. Each page has its own unique public key to support different billing models. Also, you can set up two different versions of a payment page that will run consecutively to see which one performs better. A/B test results are influential in making good decisions in a hosted payment page redesign to increase e-commerce conversion rates on your site. 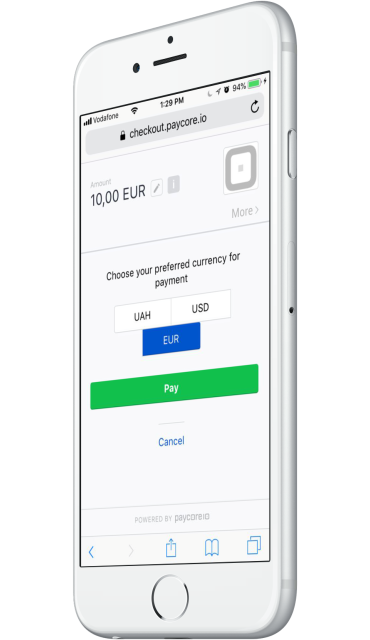 A widget sits on your website to accept all your favourite payment methods. It is good for stores with digital downloads or products, in-game virtual currency, or a few options for membership as a case in point. You can configure the look and feel of your Payment Widget and define what happens when a customer authorizes or cancels a payment, or an error occurs. It is of great importance to be informed of an incomplete payment after your customer is redirected to the payment gateway. It can result in reduced abandonment rates and revenue growth. PayCore offers the option to send a notification email to finalise the payment process after a certain timeout. You can configure the length of the timeout or turn it off completely. The Hosted Payment Pages are displayed full-page in a browser. When your customers are redirected to the Hosted Payment Pages, the web address for the Hosted Payment Pages is displayed. Full-page redirect supports all conceivable payment methods available in your PayCore account settings. We use an iframe to display 3D Secure. All other Hosted Payment Page content is displayed full page in the browser. The Hosted Payment Pages are displayed in an iframe or modal window on your website. 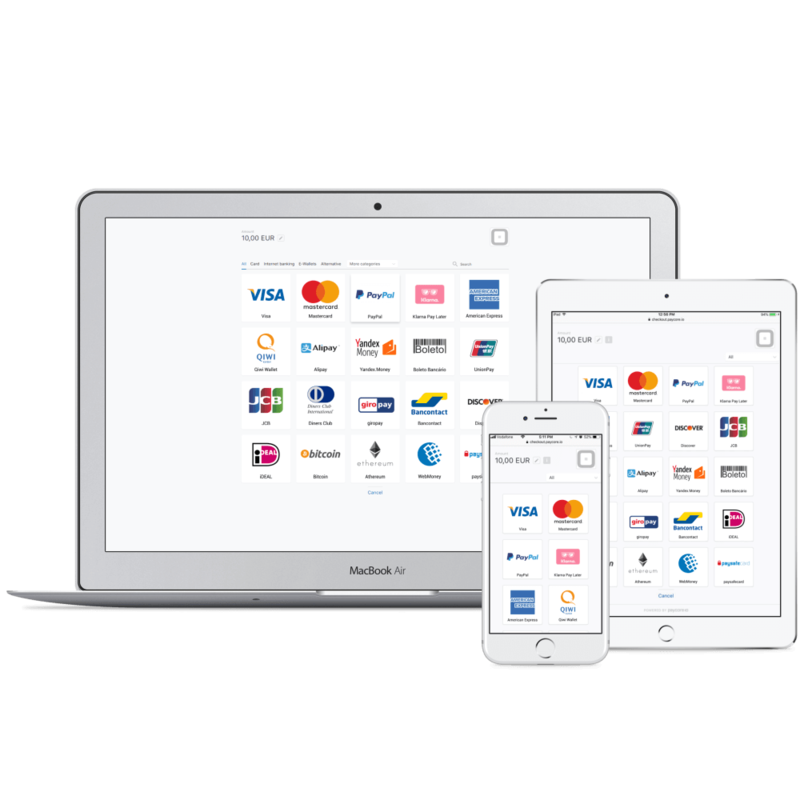 When you redirect your customers to our payment pages, the web address for your website remains unchanged, providing a more seamless shopping experience. An iframe or modal window integration requires a more advanced integration. We apply responsive web design to payment content displayed in an iframe or modal. When the width of the parent page is resized, the content in the iframe or modal window is automatically adjusted. An iframe containing the Hosted Payment Pages is injected directly into a webpage on your site. The Hosted Payment Pages are displayed in a layer over your website. When your customers are redirected to our secure payment pages for payment, it appears to them that they remain on your website. A modal element that you have added to your site has unique URL but the web address for your website remains unchanged. All Hosted Payment Page content, including 3D Secure content, is displayed in an iframe within your website. We use an iframe to display 3D Secure within the modal window. All other Hosted Payment Page content is displayed in the modal window.